5 Tires up to 37"! $5 Raffle Tickets are being sold right now. Show your support for a good friend of the whole OHV Community especially here in the Southeast, and literally for decades now. Winner drawn live, June 23, 2018! Scott Fields and family are in need of your support in this challenging moment. 100% of proceeds will go directly to the family. Get your tickets at a local event near you. 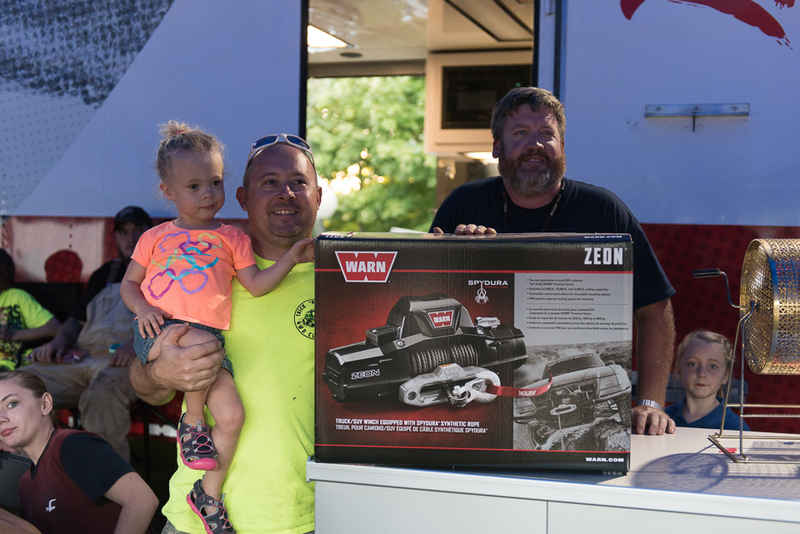 Scott Fields has dedicated decades of service and support of OHV recreation in North Carolina. Event Hosts True Patriot Inc and Carolina Trail Blazers welcome all to the Scott Fields Benefit Ride May 19th. Camping is available for $10 per rig for Friday and Saturday for those wanting to ride in the forest, daily trail pass not included. Camping is included with a $50 donation for the private rides on Big Creek Rocks and Grand Overland District, Ledger Shoals. Rides will be organized by moderate and difficult to take driver experience and vehicle capability into consideration. All rides will leave the event center around 9:30 and return by 5. Lunch is not provided, however, Texalina BBQ will be on hand when the rides return to the events center. The raffle will start at 6. Many thanks to Piedmont Performance Diesel & Off-Road for reaching out to MetalCloak and providing the complete install of either a Game Changer or Rock Sport lift kit; as well as Hi-Lift Jacks and Accessories, Root One Six Off Road, and Apex Overland for all of the awesome raffle items. This event is only possible because of the phenomenal community that Scott is a cornerstone of who have come together on short notice to make this happen. He has greatly impacted the wheeling and veteran communities for many decades and we are honored to be able to do this for him. Scott is in a battle for his life against a rare cancer. All monies will go directly to Scott to cover medical costs, bills, and support his family. Please come out and support this event so all can show their love and appreciation for this great man. Texalina BBQ on site Saturday!! A message from the Carolina Trail Blazers, James Belcher. The Uwharries, prior to becoming a national forest in 1961 by decree of President John F. Kennedy, were used for hunting, gold mining, timber and farming. All of those activities left a system of roads and trails throughout the forest which continued to be used by recreationists after the Uwharries were name a National Forest. Motorcycles, trucks and early 4wd vehicles accessed the forest for many purposes. With the advent of the ATV in the early 70’s usage of the forest increased. In the late 70s and early 80s, motorcycle clubs, notably NC Trailriders, under the leadership of John Worsley, were using the forest trail system and developing and maintaining new trails. At this time Scott Fields was living on Badin Lake and as an active outdoorsman, Scott was an active user of Uwharrie National Forest. Scott was an ATV owner who frequently rode the Forest Service roads and hunting trails in the Uwharries. As a “local” Scott became friends with John Worsley and NC Trailriders. Scott would use his Honda Foreman ATV to serve as a pack mule for the motorcycle club as they performed their trail work carrying chainsaws, axes, gas cans and other equipment the motorcycle riders couldn’t carry. In 1982 Scott purchased a “79 Dodge Power Wagon. This vehicle was capable of carrying much more trail development equipment and Scott’s role in developing the Uwharrie trail system increased as well. At about this same time Forest Service personnel and motorcycle club leadership began to have issues over the trail system usage and maintenance. Legal motorcycle access was even suspended for a short period between 1982 and 1984. It was at this time that Scott began to have a vision to incorporate the off road trails into a Forest Service operation that would serve the full size OHV users in addition to the motorcycles and three wheeler ATVs that were using the trail system. In 1984 the trail system was reopened for all motor usage and was being used by motorcycles, ATVs and full size 4wd vehicles which were becoming very popular. During this same period of time, 1982-1986, a 4wd event called the Smoky Mountain Trek was being held in the Nantahala National Forest area called Tellico. With the proliferation of full size 4wd usage, the event began to grow beyond its bounds, and the need developed for a recreationist advocacy group to work with the Forest Service in maintaining the trail system. 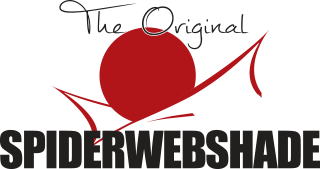 In the spring of 1987 a new organization was formed to be an advocate for the many individual and club 4wd enthusiasts in the southeast United States. This association was formed as the Southern Four Wheel Drive Association. The inaugural meeting took place in Gatlingburgh, TN. Among the attendees was Scott Fields, a member of the Carolina Trail Blazers 4wd Club, Inc. Scott is a charter member of SFWDA as is the CTB club. Through his contacts with local enthusiasts, Forest Service personnel and SFWDA leadership, Scott brokered a deal whereby SFWDA would assist the Forest Service in developing an OHV system in the forest which would bring to fruition his vision of a multi-user trail system. Several of SFWDA’s leaders at that time were experienced heavy machinery operators and Scott recruited their services in operating the machinery that modified the single track trails into something suitable for full size 4wd vehicles. Gunnar Byrd, 2011-2013 SFWDA president, and Griff Shirley were the men on the machines during this phase of the Uwharrie OHV trail system development. As with many Forest Service programs, the participation of the general public, especially sport specific enthusiasts, was a key to maintaining the new OHV trails. As Scott’s vision began to take shape, the need for someone to coordinate volunteer efforts in this maintenance was self evident. As a resident of the area, an enthusiast and visionary of the project, Scott was the logical choice, and so began his 16 year run as OHV volunteer coordinator for the Uwharrie OHV trail system. In the mid 2000s Scott suffered some business problems which forced him to curtail his OHV volunteer activities and move away from the Uwharie area. The OHV volunteer coordinator position passed through several people and as participation and communication between the coordinators and the Forest Service declined the Forest Service decided to began using an Adpot-A-Trail Partner program. Instead of having a volunteer coordinator that would work with the various clubs and individuals, clubs would adopt a specific trail to maintain in the Uwharrie OHV system and the Forest Service personnel would coordinate with club leadership. Without Scott Fields and his vision it is very doubtful that there would even be an OHV trail system in Uwharrie National Forest. He is owed a debt of gratitude from every enthusiast who uses those trails! Premium Members Experience is Back! Afterwards, there will be a Premium Members ride. to sign up for that, go to the Trail Ride sign up page and register. We will pick names from those who show interest and be in touch with them on Monday of Trailfest week to confirm our Ride lineup. These 2018 Meeting Minutes have been added to our Google Drive directory for archive and are also available for a direct download right here on our website. Archived Meeting Minutes from 2014-Current are available here. Membership overall is up over 10% on a year to year bases. Additional cabins to be built on WR land and within the next 2 months online reservation will be available. Building new parking lot next to T2- will be open for special events. WRP be getting into the concert business. Spring 2018 will be timeframe of first event. Currently has a Shooting range- shoot your own or rent. WR Bike Park- leased area for a prof mountain cyclist. WR is diversifying. WR ATV Club is involved with trail systems since inception. Disbanding at end of year. Another hearing schedule on December 6. We are trying to show 15 years of public use of roads. Goal to move forward to receive from the court system a Summary Judgement by Feb 2018. New dialogues about the Blackwater Watershed. Early this year Forrest Service has closed it to OHV traffic due to landslide. Next few years to start process to do a land swap with the Forest Service and County. USFS approved Interpretive OHV Trail system developed by Tread Lightly, 4Wheel Parts and Path Less Traveled, Inc.
Construction of expansion of Baldwin Lake Trail starting mid-December and will be RTP funding. GBR GA RTP grant complete. The ongoing maintenance continues. Problem area at Nicholson Gap, the potential solution may be re-route. GBR proposed adding camping to Satterfield Station area. Jay Bird discussed new Rock Garden at Beasley Knob. Things are more positive than in years past. First meeting was elections, setting up structure and by-laws. Rebecca Smith is the point of contact. Trick N Traction looking for RTP grant to provide help to land area. Completed a 2year cycle for RTP grant funds. Estimating roughly 2million dollars available for motorized RTP grant funds. Proposal had public resistance with NEPA issues; the project was not approved. GA DNR Projects for 2018, preliminary $2M to develop OHV trails. Troy discussed conversations with Shawn and his continued commitment to the AOP. Mapping by Cartotracks/ campsites built / entrance gate and fencing installed / road repaired and shelter pad rocked. Roger Theurer provided status of construction. Started the project in 2010; $528K construction grant coming in. Will need volunteers to help complete this park. Will be requesting SFWDA grant to help maintain water issues and road access. Target is to open in end of year 2018. Property is for sale and was reclassified for tax purposes. GMP loss significant monies in recent periods. DR31 & DR32 on GMP calendar, but no firm commitment if property sells. Review findings of Event Planning Committee in the 2018 SFWDA calendar building portion of meeting. SFWDA will continue to monitor progress of any potential investors. Membership discussion on cost, time and requirements for having a Master Training Class with individual clubs in the Southeastern area. ORBA association of motorized offroad related businesses formed to promote and preserve off road recreation. Scope: create printable map of 173 miles in UNFTS which includes OHV, hiking, mountain bike, horse back and Kayaking trails. Key part of Treadlightly interpretive trail project. We are optimistic for a very successful and prosperous year ahead in 2018. Hope to see you on the trails soon. Congratulations to all 3 of our newly elected Board of Directors joining the SFWDA Team! Welcome our three newly appointed Board of Directors. This past Saturday during our Annual Meeting we conducted elections for four BOD positions due for turnover under the SFWDA leadership bylaws. We were fortunate to have three well qualified candidates express interest. After the formal voting process we have appointed each of these newly elected representatives to an Assistant Position for this first 2 year period, at which time they will each assume the Directors role of each respective position. Those three positions were each filled with existing SFWDA members, while some are new and and some have been around for decades, they all have a deep passion and commitment to supporting the core mission of SFWDA; COnservation * Education * Recreation. Treasurer - newly appointed "Assistant Treasurer"
"Assistant Director Conservation and Land Use"
If you get a chance please take a moment to Thanks and Congratulate these folks. They have taken a leap forward and a rewarding commitment to support a regional non-profit off road stewardship organization. Their efforts and actions over the next 2-4 years will have a direct impact in our community. From all of us here at SFWDA, and to all of our BOD, Leadership, and Volunteers. Thanks gain for all your support! Thanks to everyone who came out and joined us for our 2017 Annual Meeting. Photos and Minutes from our meeting today will be coming in soon and for now here's a snapshot from the floor. Visit our Message Board for the Complete Slide-Show in PDF Format to download here. 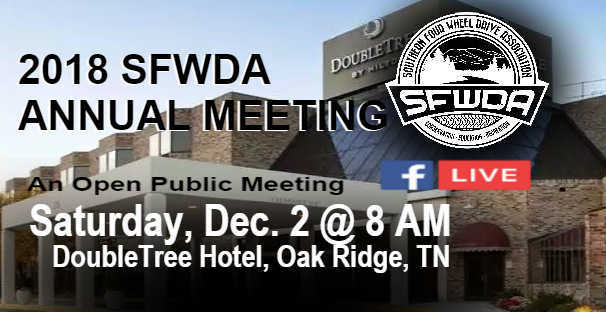 If you can't join us in Oak Ridge for our Annual Meeting then you can watch online in your own home easier than ever before! Over the past few years, technology has evolved considerably and so has our outreach within the Association's membership. In the past, we managed a live audio and video feed available to anyone through a program by Citrix called GoToWebinar. While this still works and is widely used in business we wanted to provide more to our members. With Social Media options more diverse than ever we carefully considered which channel outlet to best connect with our members. According to all our reports, Facebook is one place where almost all of our audience frequents. Now, for the first time, we have decided to go LIVE on Facebook to broadcast our meeting. We hope to make getting involved more accessible for everyone. In case you're not familiar this is a basically a win your way in trail ride exclusively for Premium SFWDA Members. Now, since we're approaching almost 300 Premium individuals we have to narrow that group down for the ride. That's where it gets fun and allows everyone to join in to WIN your chance to be on this ride. Why is it so special you may ask. For starters you will be among fellow advocates which strongly believe in the core mission of SFWDA but better yet you can ride with top industry representatives who travel the country from event to event and have some amazing stories to share. They also firmly believe our core SFWDA mission. Expect to see some cool rigs, and hang with some cool folks. After the ride our sponsors have some special prizes in store which you could win. Lunch will be served and it's all taken care of for you. Oh, wait, did I forget to mention there is a set of BFG - Tires, a WARN Winch, Tools, and Accessories, as well as a custom shirt for each participant to be raffled. These top sponsors believe in our core mission and strive to support our goals. Select prizes will be awarded to random participants from these sponsors during the ride at Dixie Run 31. First off huge thanks all Sponsors on this special experience. Remember to support these top brands to show your alliance with each. Their amazing support for fuels our core mission. This ride was originally their idea. They wanted us all to know they fully support us and our goal here within SFWDA. The ride is scheduled to begin on Friday, September 22, at 10 AM. We will depart from the staging area across from bunkhouse and embark on a 2-3 hour estimated journey through some highlights of the park. This is a guided ride and it will require minimum basic safety requirements and proper OHV equipment to participate. After the ride we will together enjoy a catered lunch provided by our sponsors. After lunch our sponsors will raffle away an amazing collection of top prizes, and only to those selected for the DR31 - Premium Experience. This is a very special opportunity you definitely want to try and be a part of. Facebook Challenge - You must submit a short story (just a couple sentences) about what it means to be an active and Premium SFWDA Member along with a recent photo image of your 4x4 trail rig that you would like to drive on this trail ride. Post directly to our SFWDA Facebook DR31 Event Page then tag each of our sponsors in the post. Be sure to include # hash tags! Spread the word - Share your posting to your timeline and in as many groups and as many pages as you can to generate the most likes and shares possible. * Representatives from our sponsors will ultimately be selecting the group of 20 lucky winners. The competition begins now and will end September 1st. Winners will be announced immediately thereafter. Huge thanks to our sponsors and all of our Premium Members.